We designed these striking, warm toned, clean design kiosks, for a holiday promotion, shipped out to three different retail location in three different states across the US. We chose a warm wood filled with character - a sycamore species - to be a great contrast to the clean design of the logo and the piece. Joel in the shop, milling, joining and finish sanding the sycamore before the final assembly. 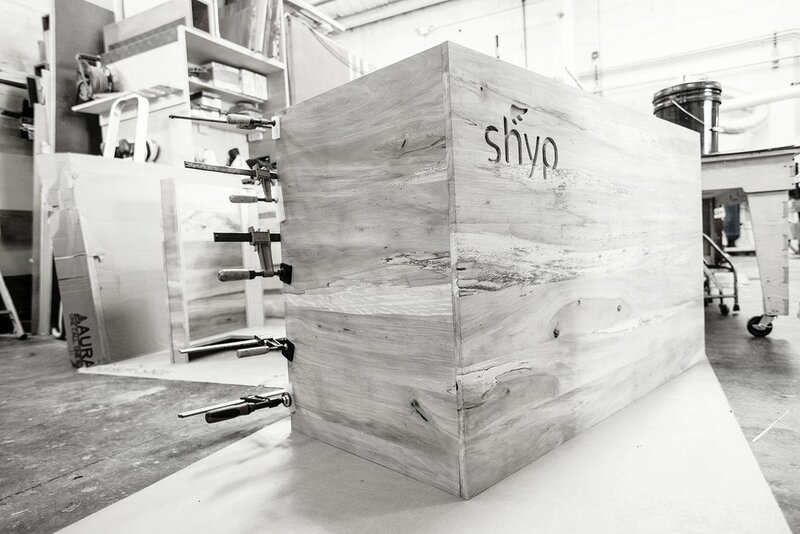 Our fabrication shop is tuned perfectly to realize our designs, mixing CNC joinery and traditional craftsmanship. In the shop as in our design work, precision and details always play an important part. 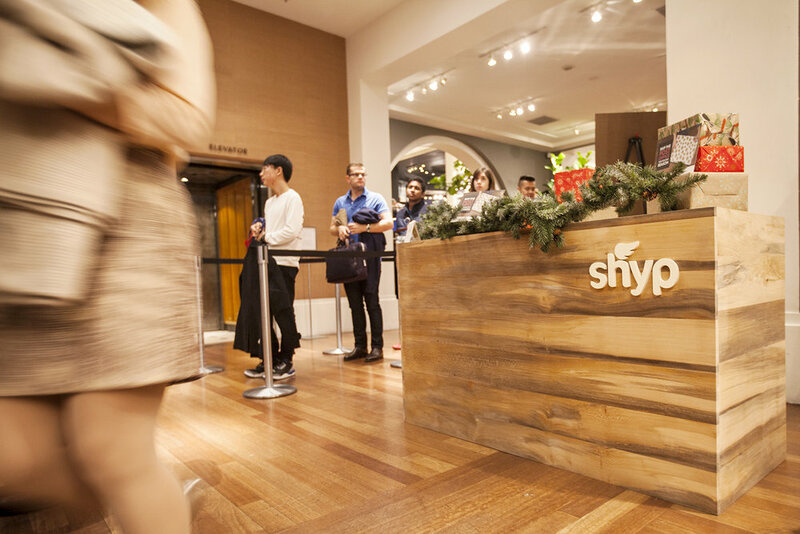 Shyp is a newer service that takes the hassle out of shipping for the individual. We worked with them to create promotional kiosks that would speak their brand, and be easy for them to ship around the country.